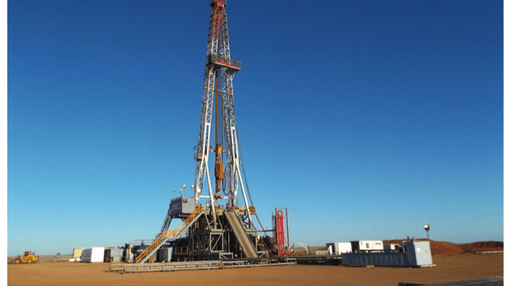 Real Energy Ltd (ASX: RLE) says strong gas pays at its two drilled wells in the Cooper Basin indicate 3C Contingent Resource in excess of 1Tcf of recoverable gas. RLE recently completed drilling of its second well in the Cooper, Queenscliff-1, which hit strong gas pays in two gas-saturated formations – Toolachee and Patchawarra – that were also encountered by its maiden well Tamarama-1. Independent geological studies indicate that a Basin Centred Gas (BCG) play of potentially 10.2Tcf of gas runs through RLE’s 100% owned 2 million acre land bank in the Cooper Basin, one of Australia’s prime oil and gas producing regions. Tamarama-1 and Queenscliff-1 were designed to test for that BCG and were initially estimated by RLE to hold 300Bcf of 3C. But Managing Director Scott Brown says the strong results at both wells have led to a sharp upward revision. “We thought it was important to inform the market of the size of our project so far,” he says. The company’s maiden well, Tamarama-1 well hit gas pays in two gas-saturated formations – Toolachee and Patchawarra – at its ATP 927P tenement. It hit 21m of net sandstone gas pay (from gross 44m) in the Toolachee formation and 66m of net sandstone gas pay (from gross 121m) in the Patchawarra formation. The follow up well, Queenscliff-1, was designed to test the extent of these formations and was drilled 668m down dip of Tamarama-1. It was spudded on October 8th and drilled to a Total Measured Depth of 3,219m. 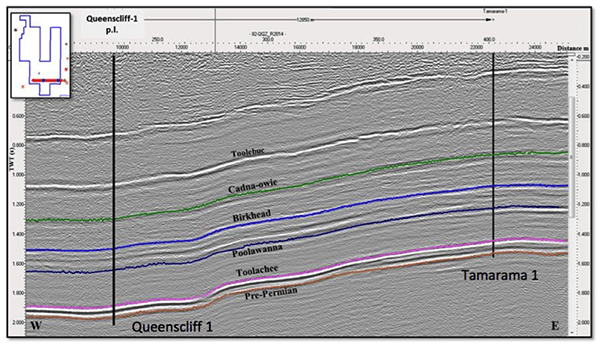 It encountered gas-saturated readings, measuring 32.5m of net sandstone gas pay (from gross 66.5m) in the Toolachee Formation and 34.8m of net sandstone gas pay (from gross 87.5m) in the Patchawarra Formation. In addition, Queenscliff-1 also encountered 10m of net sandstone gas pay (from gross 30m) in the Triassic Paning Member of the Nappamerri Formation. The discovery of strong gas pays at both Tamarama-1 and Queenscliff-1 strengthens RLE’s case for a BCG within its Cooper Basin tenements. RLE says the positive results of its two wells have paved the way for an even larger drilling programme in 2015, and it’s now working up targets and schedules. Production testing for both Tamarama-1 and Queescliff-1 is also being planned and should take place in 2015. Following this testing, RLE says it will engage an independent petroleum engineering firm to prepare a report on its gas resources.